When adding insulation to your home, the first place you should look is your attic. It’s the area of the home that gets the hottest in summer and the coldest in winter. Not only is proper attic insulation important for your comfort and energy bills, it will also help prevent things like ice dams, moisture damage, and HVAC wear and tear. Energy Savings – A well-sealed and insulated attic can reduce your heating and cooling costs by up to 50%. You’ll feel the savings every month when you pay your energy bill. Fewer HVAC Repairs and Replacements – More insulation means less work for your HVAC system, reducing repairs and extending its lifespan. Better Indoor Air Quality – With proper insulation and ventilation, less outdoor air will seep in through dirty areas, such as attics, crawlspaces, and basements. Increase Comfort – Adding insulation will help you solve many comfort problems, such as less outdoor noise, improved humidity control, and reduced chance of pests, pollen, and dirt entering the home. Does your attic look like this? To determine if you need more attic insulation, the first thing you should look for are the floor joists. If you can’t see floor joists, that’s a good thing. It means you may already have enough insulation. If, on the other hand, your attic looks like the picture above and you can see your floor joists, you definitely need more insulation. Just because you can’t see the floor joists doesn’t necessarily mean you have enough insulation. In order to know if you need more insulation in the attic, contact the attic insulation specialists at Air America Heating & Cooling. You can also use a ruler or measuring tape to measure the depth in inches. Take a few different measurements of your attic insulation depth and take photos for your records. If you are measuring anything below 12 inches, ask your contractor about adding more insulation. When working in the attic, make sure you only step on the floor joists! Bring up boards to walk on if needed. You may also want a flashlight, hardhat, safety glasses, gloves, and a dust mask. For a more thorough attic insulation evaluation, contact the professionals at Air America Heating & Cooling. If you know you have low attic insulation levels, it’s time to call the professionals! This looks better, doesn’t it? What Type of Insulation Should I Use for My Attic? After determining that you could benefit from additional attic insulation, the next step is to select the type of insulation you want to add. Luckily, you don’t need to use the same type of insulation as what you currently have. For example, you can add fiberglass blankets over loose-fill insulation and vice versa. 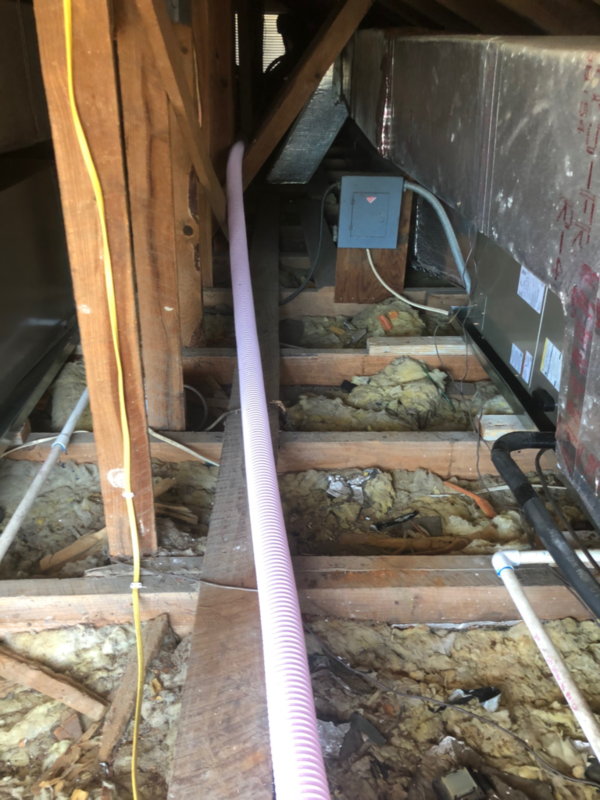 Keep in mind that if you add loose-fill insulation, you will need to hire a professional since multiple people and special equipment are required. Rolls are very similar to batts, but instead of coming precut, they are purchased in rolls. You must cut the material to size. Foam board is a versatile type of insulation that can be used for floors, walls, ceilings, and mores. They are particularly useful for roofs and attic hatches. You can use spray foam insulation for walls, wall cavities, and unfinished attic floors. In addition to insulation, spray foam quickly expands and cures to also help seal air leaks. Spray foam insulation requires special equipment and certification, so make sure you hire a qualified contractor for the job. Loose-fill insulation is made up of very small pieces of cellulose, fiberglass, and other material. The great thing about loose-fill insulation is that it can conform to any shape, perfect for retrofits and oddly shaped areas. 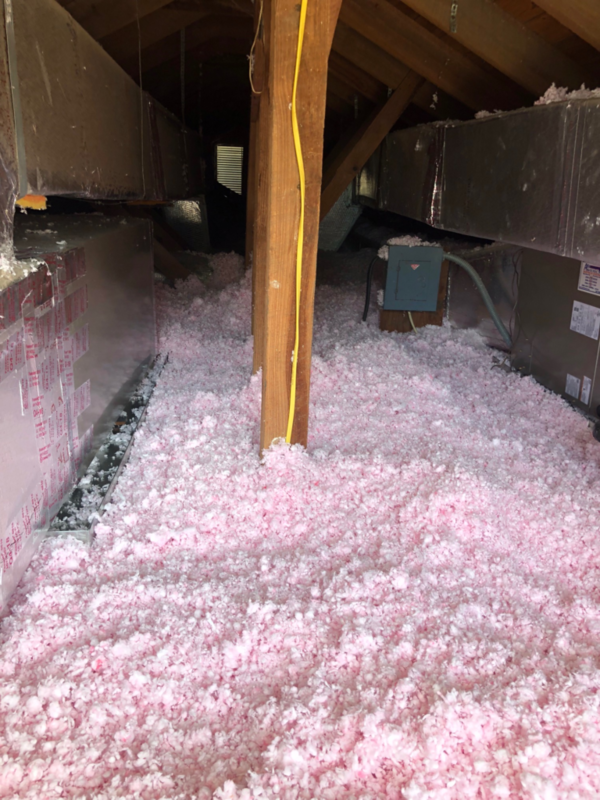 The type and amount of insulation you choose for your attic depends on a variety of factors, such as moisture, ventilation, air leakage, geography, and more. Consult the professional insulation installers at Air America to determine which insulation is best for you. We’ll make sure to seal all attic air leaks before adding the proper insulation. This small home improvement will save you thousands of dollars, dramatically improve comfort levels, and extend the life of your HVAC system. What are you waiting for? Call Air America today for your FREE attic insulation consultation!